This post is all about the best small scale business for Africa which means if you are residing in Africa and you don't have an idea of any small scale business you can start, then you are getting the solution for your though reading this post which give good business with profit for Africans in Africa. 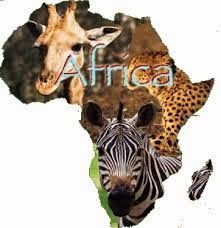 Since Africa is still part of the developing continent in the whole world, many countries in Africa still have problems like shortage of electric power supply, good roads, dirty envrironment, corruption, wastage and illiteracy. But there are small businesses that can be done in Africa that can generate steady income. Small scale businesses performs well in Africa because of its population especially in Nigeria, Egypt, South Africa, Ethiopia, Ghana etc. As long as the small business solves people's problem, then it is a good business. 1. Phone Charging : One of the major problems of some countries in Africa is lack of electricity and many people don't have electricity to charge their phones or computers. You can establish a small business inform of a multiple circuit box to solve this problem by helping them to charge their phones for money phone for token. 2. Soccer Viewing Centre : Many Africans prefer to watch matches from different soccer leagues around the world in a sport viewing centres where they pay some cash to watch the matches via a public cable decoder. To start this business in any where in Africa, get a decoder(DSTV) , buy a large television set, get a big space, put some benches and start showing showing football matches. This is a small scale business running quite good in Africa and does not cost much to start. 3. 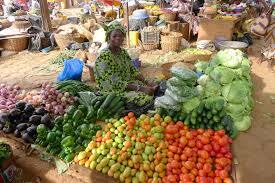 Food Business : You can start a small scale business in Africa by selling food items to people around you. It can be inform of fruit, raw items, can foods, grains etc all for sale. Food items is a good business in anyhere in Africa, people must eat either through fast food, canned foods, groceries, snacks, baked foods etc. 4. Sales of Drugs : Many people living in some part of Africa do not have access to drugs and i believe your small business can be established to solve this problem. 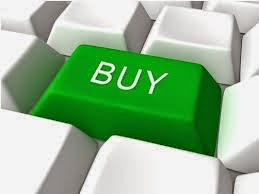 Just get a store which sells in bulk, buy and sell in retail to people around your area, its a good business. 5. Bags. Shoes and Cloths Sales : African ladies and men love latest cloths, so you can start a small scale business buying cheap shoes, cloths or bags in places like Dubai and resell to people in your locality. You will be making good money from this business when directed to the right people who needs it, just ensure the price is cheap..
6. Sales of Laptops/phones :Right now, i think the best small scale business ideas for Africa or Africans is buy and sell cheap laptops or smart phones in bulk and resell to people living in your locality at cheap price. Laptops and phones are big business right now in any part of the world. 7. ales of SPhone Accessories : Small scale business Ideas for Africa should be directed to selling phone accessories like memory cards, chargers, pouch, phone skin, battery, switch , etc. Its one of the fastest growing in any area now. 8. Food item Processing machines : You can aquire cheap machines that converts raw food into another form within the shortest period. This kind of small business helps to prevent wastages and i believe if you have a processing machine, you will make good profit from these business. For example, raw ornages can be converted into fruit juice, fresh tomatoes into canned tomatoes and cocoa into beverages. 9.Teaching: Another business ideas suitable for African people is teaching. You can start a small size lesson to teach to teach people, children, for money. If the fee for the lesson is cheap, then people will send their children to your lesson and you will be making good money from these. 10. Importation: The best small scale business right now in Africa is General Importation. Importation business is one of the best business in the world now and Africa is the destination where some of these items are shipped to and people will buy from you only if you sell cheaply. Some people even buy from eBay and send it to their relatives in USA na dlater get it accross to Africa and some sites still send directly to Africa. You can import cars, phones, laptops, shoes, cloths, computers, kitchen utencils, electronics, building materials and many more. These are small business ideas for Africa, Africans, people living there or foreigners who want invest in the country through a business can also think this way. Thanks for reading.